Over the holidays, you might want to read about something a little more light-hearted than the impending Mueller investigation, just how bad global warming really is or the rise of fascism across the globe, so why not pick up one of these great music books from the past year? Music books contain some of the best on-the-road stories, tales of music folklore, obscure album references and general musical nerd-outs. Whether you need a holiday gift for the music lover in your life or you’re looking for another book for your own reading list, here are 10 enjoyable music-related works from the past year. 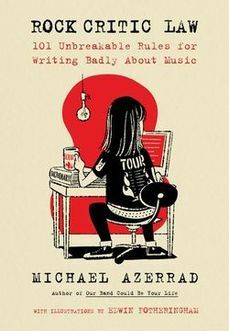 Music journalist and author of the famous chronology of the indie underground, Our Band Could Be Your Life, Michael Azerrad’s latest book takes on cliched music journalism rather than his love of music itself. Inspired by his @RockCriticLaw Twitter feed, he decided to turn his funny skewering of common music writing tropes into an illustrated book. The book isn’t meant to be a call to bring down every music reviewer who ever referred to a second album as a “sophomore effort.” Instead, it’s meant to empower writers to transcend music writing platitudes while also making us chuckle at the accuracy of his qualms. Complete with illustrations by his friend Edwin Fotheringham, this pocket book list of “101 Unbreakable Rules for Writing Badly About Music” is a must-have for current and aspiring music writers and music fans alike. Purchase the book here. 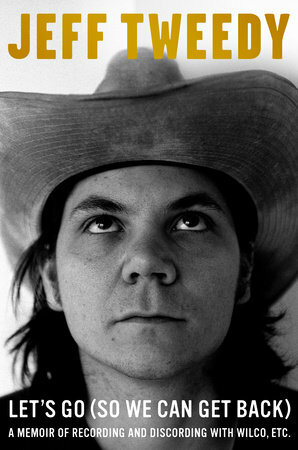 We already knew Jeff Tweedy could write. Both as the frontmen for Wilco and Uncle Tupelo and as a solo artist, he’s penned rock songs, experimental folk tunes and twangy alt-country jams. From Wilco’s first album A.M. in 1995 to the recently-released singles from his forthcoming solo album WARM, Tweedy’s music has cemented his status as a steady and adored musical scribe. However, we didn’t know Tweedy could write an entire book, and do it really well. But with the arrival of his new memoir, Let’s Go (So We Can Get Back), which came out earlier this month, it’s clear Tweedy is just as adept at writing nonfiction as he is songs. Let’s Go is a dry-witted examination of Tweedy’s personal life and career so enjoyable even the most casual of fans will be hooked. Purchase the book here. 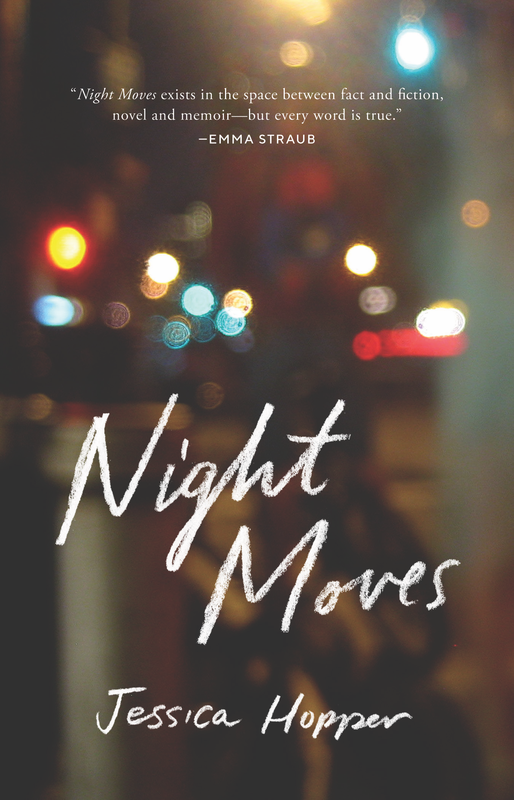 “I love Chicago as is, burnished perfect from years of disrepair,” writes Jessica Hopper in her new book, Night Moves. “It makes me want to press my face to the rails of the Green Line L tracks and pledge allegiance to the long concrete meadows of Lake Street.” Now 42 and still based in Chicago, Hopper has been a music critic for more than two decades, and she is the author of several books, most notably, The First Collection of Criticism By A Living Female Rock Critic. 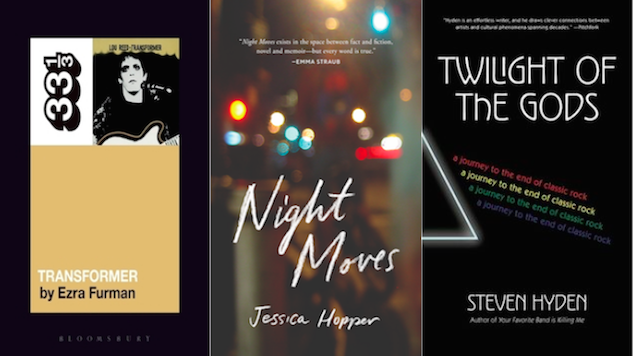 Told in a series of brief, non-chronological journal entries, Night Moves chronicles her time in Chicago where she was ingrained in the city’s underground music scene through her work as a music writer, DJ, occasional musician and as a general lover and consumer of music, enthralled with live shows and possessing a freedom that fed her boundless musical curiosity. Purchase the book here. 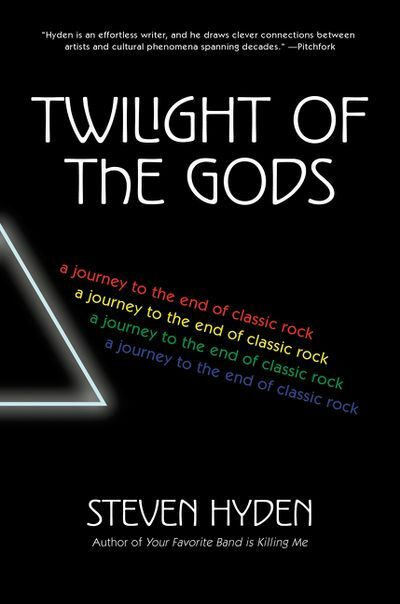 Rock critic and author of Your Favorite Band Is Killing Me, a book that cleverly explores band rivalries, Steven Hyden returned this year with Twilight of the Gods: A Journey to the End of Classic Rock, a new spin on the “rock ’n’ roll is dead” argument. Part memoir and part exploration of the current state of classic rock, Twilight of the Gods explores rock’s impact on culture (and subcultures), and then asks whether or not it can even survive in today’s musical landscape. In the book, Hyden offers not only his own expertise on rock music, but he also interviews the artists and fans who’ve ridden rock’s rollercoaster over the decades. On the memoir side of things, Hyden writes about how rock music has aged with him and his idolization of rock gods. There aren’t a lot of clear answers when it comes to the fate of rock, but Hyden’s examination will certainly help get your gears turning. Purchase the book here. This summer marked the 50th anniversary of The Band’s debut album Music From The Big Pink. 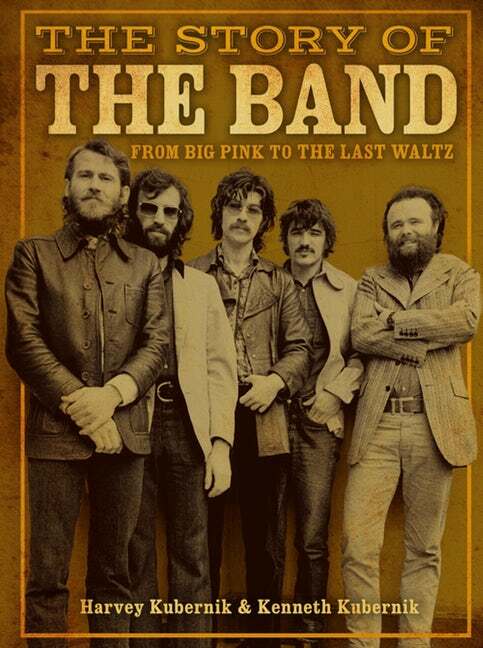 To commemorate this Canadian-American roots group’s distinguished career, music writers Harvey Kubernik and Kenneth Kubernik wrote The Story of the Band: From Big Pink to The Last Waltz. The book features unpublished interviews with members of The Band and others who worked with them like Ronnie Hawkins, Jerry Garcia, Andrew Loog Oldham, D.A. Pennebaker and Mike Stoller. This beautiful coffee table book features lots of full-page photographs of the group alongside greats like Bob Dylan, Joni Mitchell, Neil Young and Muddy Waters. Purchase the book here. If you’re shopping for a Cure fan or rock aficionado who’s not super big on biographies and oral histories, this book would make for a perfect gift. Just like the children’s section of the library: There are a lot of pictures in this vibrant coffee table book, but there’s also some interesting tidbits, too. A Perfect Dream, published in honor of the band’s 40th anniversary, looks back to The Cure’s start on the British punk scene in the late 1970s and through the “In Between Days” when they rose to more international fame. Music journalist and author Ian Gittins has written about and interviewed The Cure throughout his career, and here he offers a vivid look at theirs. 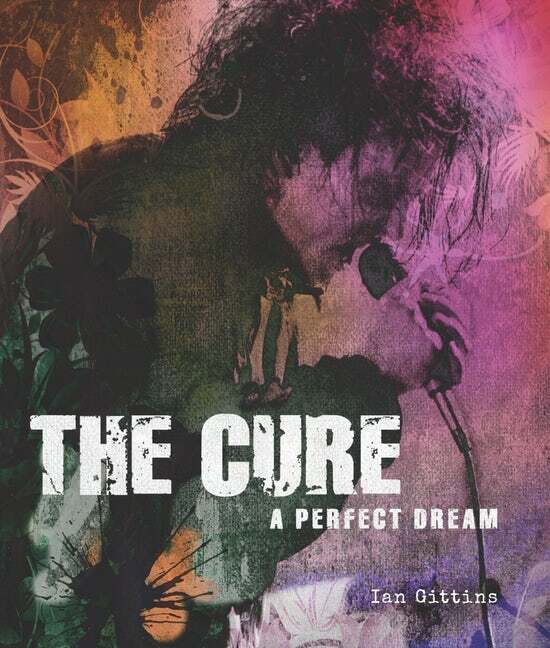 A Perfect Dream, replete with memorable photographs and even more memorable quotes, is best enjoyed while listening to your favorite Cure album. Purchase the book here. R.E.M. was one of Tom Sheehan’s favorite acts to shoot. Sheehan, the celebrated British music photographer, made this Georgia band the subject of his latest photography book. He first met R.E.M. in 1984, and according to a press release, he was “compelled initially both by their southern strangeness and unique alternative twist on ’60s rock and jangle.” From 1984-2005, Sheehan captured countless images of the band, and he became enthralled by frontman Michael Stipe’s charisma and presence. Stipe wrote the book’s foreword, commenting, “Tom Sheehan was there to capture it all—these moments comprise a beautiful and fortunate life.” The 240-page hardcover book, containing many unseen images, is available in deluxe and super deluxe versions, both available via The Flood Gallery. You can also peruse some of the photos here. 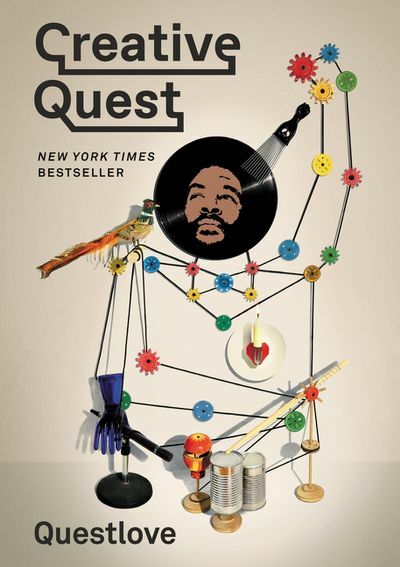 Questlove is truly a jack-of-all-trades. He’s a musician, producer, entrepreneur and professor. He’s the co-founder and frontman of The Roots, the Grammy-winning house band at The Tonight Show Starring Jimmy Fallon, where he is also the music director. He even just launched a popcorn line at Williams Sonoma. The man can do it all, balancing uber family-friendly endeavors and edgier hustles with ease. Did we mention he’s an author, too? This year, he released his fifth book, Creative Quest, a follow-up to 2016’s Something to Food About, which explored the minds of the world’s most innovative chefs. 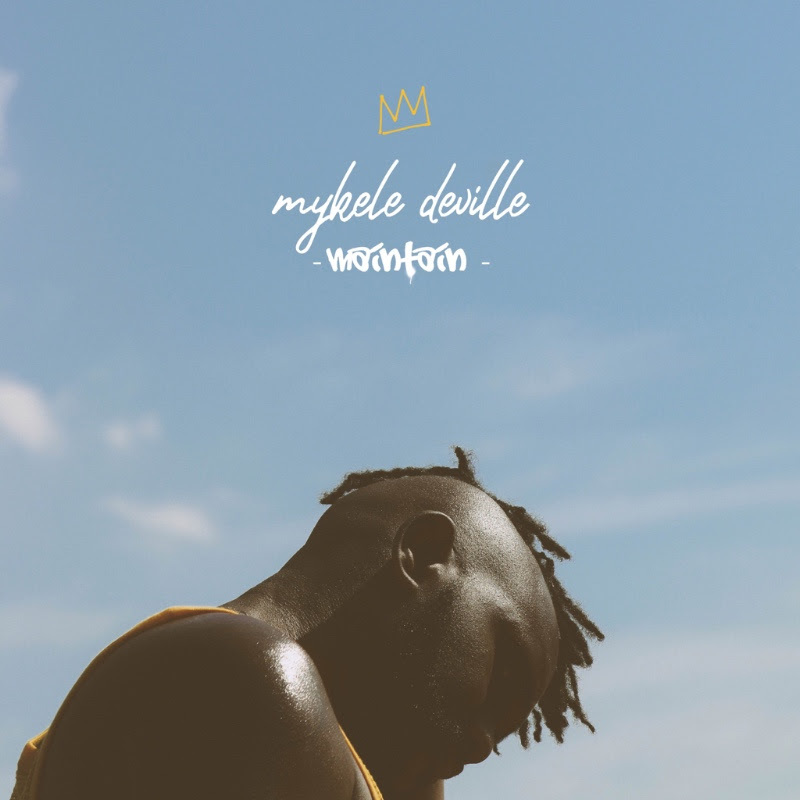 This time around, he’s offering wisdom on creativity in general, including specific tips and tricks and also insights he’s gained from his inspirations—people like George Clinton, David Byrne and Björk. Questlove just wants to answer your questions about art and help you nurture creativity in your life. But the real question is, when do you sleep, Questlove? Purchase the book here. 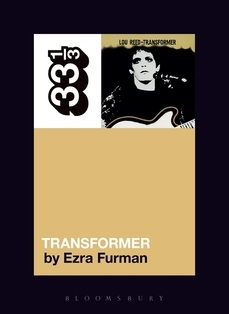 After the release of his impressive and punchy latest album Transangelic Exodus, Ezra Furman published an ode to one of Lou Reed’s most fascinating releases, Transformer, for Bloomsbury’s 33 1/3 book series. Furman taps into the mystifying and elusive qualities of Lou Reed’s most popular album, which he calls “interestingly disappointing.” Many people wanted to neatly place the record into a few different categories, but Furman reminds us that things aren’t always what they appear. With Reed’s unmistakeable aura, jaded intellect and sexual ambiguities, the record’s commercially accessible rock veneer is quickly washed away. Furman’s exploration of identity and his similarly idiosyncratic, creative spirit make him the perfect person to tackle a huge rock ’n’ roll staple like Lou Reed’s Transformer. Purchase the book here. BBC Radio 6 Music is a storehouse of musical history and, more recently, a hub for alternative artists to share their work. 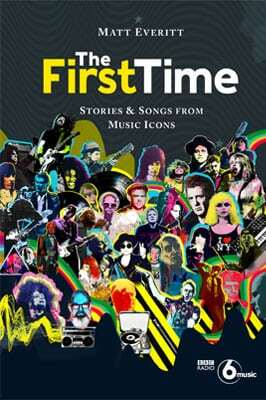 The First Time is a collection of 40 interesting interviews from Matt Everitt’s show on the digital radio station, and it includes conversations with legends like Courtney Love, Elton John and Paul Simon, as well as alt-rock icons like Dave Grohl, Billy Corgan and Trent Reznor. In addition to the interview transcripts, each entry features eye-catching illustrations and a playlist curated by the artist for Everitt’s show. This book would be a great gift for the all-around music nerd in your life. Purchase the book here.